Friday night started well enough for the Tigers, as the teams each held the lead on five occasions in the first half. At the break, Harvard held the advantage, 36-35, clearly a manageable situation. Ominously however, 14 of the Crimson’s points came off Tiger turnovers, several of which were unforced. The Crimson returned to the floor determined to extend its 17 game winning streak in Lavietes. Shooting with deadly efficiency, Harvard made its first five shots in the second stanza, 14 of 22 for the entire half. Each of the three road losses has featured the same glaring miscue late with the outcome in doubt: failure to rebound the opponent’s miss on the front end of a one-and-one, resulting in a quick score. At Harvard, Bray brought the Tigers back from 15 down to get within four with a minute remaining, but Princeton could get no closer. Harvard managed 19 points from Tiger turnovers, and outscored Princeton from the FT line 20-10. In the end, the Crimson held on, 82-76. Saturday’s encounter with the Big Green brought more misery to the Tigers. Dartmouth, secure in the knowledge that it need not play Harvard again, believes it can compete with the rest of the League, even without Gabas Maldunas. Judging from its performance against the P’s, count me as a believer as well. Senior Tyler Melville chose the last home game of his career against the Tigers to have his best night. Those of you who remember his father, Randy, who played for Pete Carril many years ago, will appreciate the irony of this one. Sophomores Connor Boehm and John Golden also made huge contributions to the Big Green’s winning effort. Princeton always seemed to be pedaling uphill in this game, as in its first two Ivy contests, but, when Will Barrett converted on a three point play to draw the Tigers even at the end of regulation, hope blossomed. The overtime session unfolded in much the same way as the regulation period, with the Tigers struggling from behind. Trailing by two with under two minutes left, the Tigers trapped a Dartmouth player with the basketball just over the midcourt line. When the whistle sounded, it appeared at first that the Tigers were the beneficiaries of an offensive foul. The call, however, was something entirely different: a technical foul on the Tiger bench. The two free throws and ensuing possession effectively ended the proceedings. One can only imagine the mood in the bus on that trip home through the foreboding New England night and early morning. While not an “outcome changer,” the call was definitely a “game ender.” The final score was 78-69. The Ivy League reminds this writer of the PGA Tour 15 years ago. When Tiger Woods teed it up, everyone else was playing for second. Harvard is that good. It may not be accurate to suggest that the Tigers should have won these first three games, but they certainly could have. A lot of exciting basketball will be played in the next month. No one, including Harvard, can look forward to playing this wounded Tiger. Not sure that I buy the cause-and-effect between Princeton’s exam break and its losses to Harvard and Dartmouth. Pretty sure that exams were scheduled after Christmas in every one of the Tigers’ 26 Ivy championship seasons. 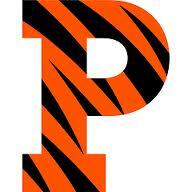 Princeton was in each game late against the Crimson and Big Green. Only when it was crunch time, the Tigers couldn’t get it done. That’s not the exam break, that’s the same thing which caused the collapse against Yale and Brown in last season’s final weekend. True. But Jerome has a nicer office to work in. Still, our glass house is in pieces.